Kid germs…they’ll get ya. I was so sick last week. So sick that I made this dish again, photographed it & never posted it. Oops. Glad I remembered, as I love this recipe & have been wanting to share it again….with better photos. 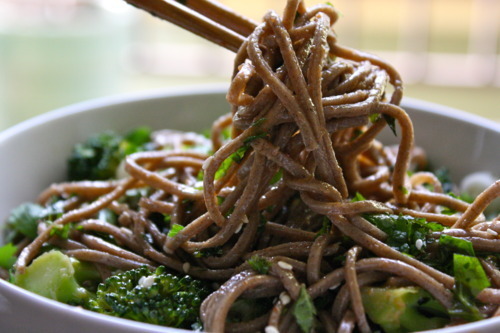 I love soba noodles, in fact, I prefer them over any pasta – semolina, wheat, brown rice, etc. I enjoy their rich flavor & hearty texture. 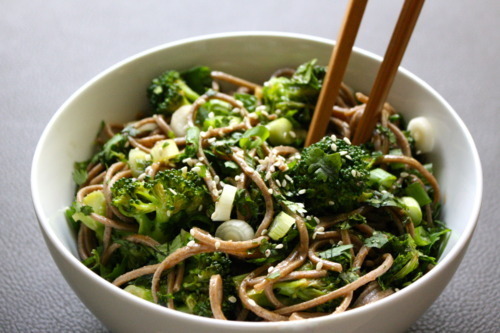 I also love what is typically paired with them – asian sauces, herbs, spices, etc. But, they can be expensive, so when I found them on sale, I stocked up. Combine the first 8 ingredients in a large bowl. 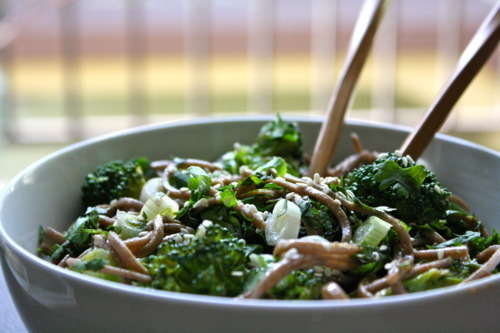 Add rinsed noodles & steamed broccoli. Toss until coated. 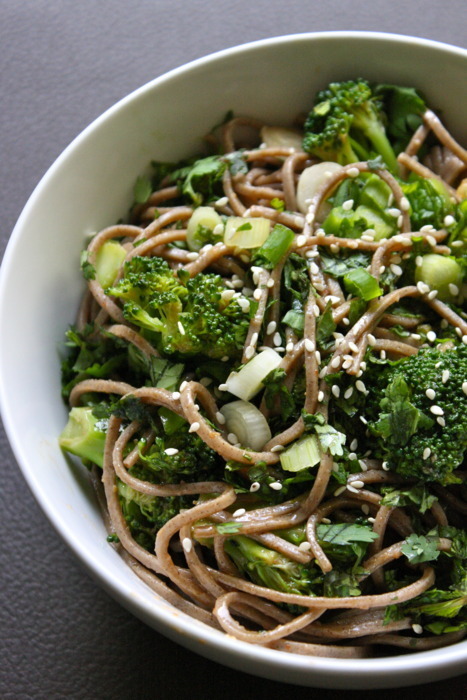 Garnish with green onions, sesame seeds, mint & cilantro. I think this is my most favorite meal ever!